This is from a unit to prepare students for MCAS/PARCC where they are asked to write an ending to a narrative story. What are the 5 characteristics to a good ending? *Hint it’s in the video and you may ask one partner. 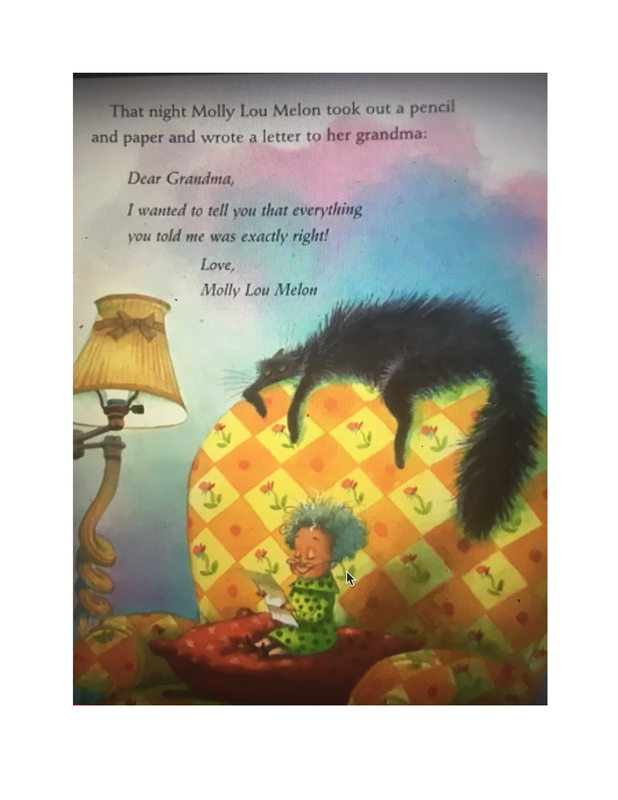 Just like in Molly Lou Melon, we are going to try to write an ending to a story and make the main character learn a lesson. Do you remember what lesson Molly Lou learned. Read the last page and write your answer in the box. 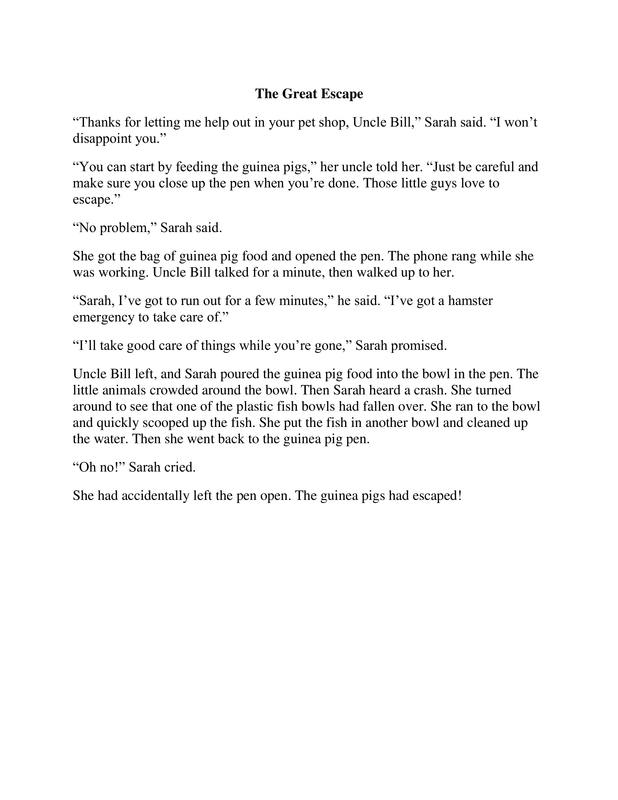 Read “The Great Escape” - This story is missing an ending. You should think about 2 things as you read. 2)What kind of lesson will the characters learn. *DO NOT WRITE IN THIS BOX. 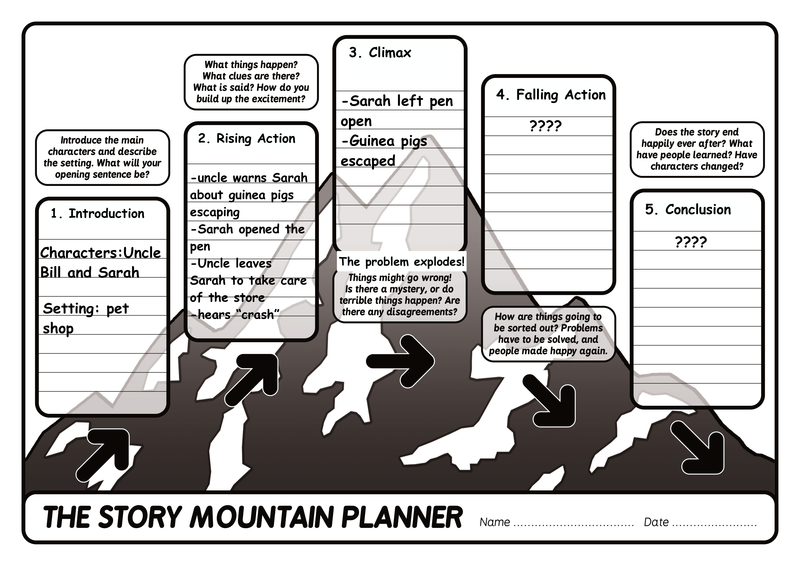 Use the story map to help you plan your writing. Read the first 3 boxes that are filled out for you. *You don't have to write anything in this box. 2) How does the problem get fixed? Describe the conclusion. How does the story end? What did the character (Sarah) learn? Use your story map to try writing an ending to the story. Use complete sentences. *You may talk to another student to get ideas.